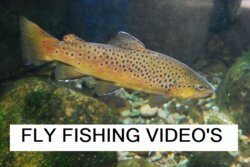 Here are some great fly fishing videos that are available on Youtube. If these videos don't make you feel like fly fishing than something must be wrong with you. Watching a brown sipping flies from the surface and then hitting your fly is a thrilling moment. There is something about a trout hitting a dry that gets me excited. Take a look at these videos, and contact us if you want to submit your video to the website. If you have pictures or fish stories that you want to share you can do that by filling out the form located on the where to fish page. Click to go there now. Do you feel like fishing yet? Pretty cool to see these fish strike and get landed. This will keep you thinking about fly fishing all winter long. Fly fishing is a great hobby! You against the fish. Leave the Fly Fishing Videos page and go to home page. See where to go fishing in your state. Receive regular news letters about fly fishing. 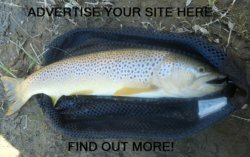 Featuring great specials from our affiliate sponsors, new fish photos, tactics and other fly fishing articles. Fill out the form below to subscribe. less than 5 pip stop loss.Click Here! Understanding these laws will help make the Law of Attraction an Unbreakable Force.Click Here! Learn how to easily borrow up to $100,000 in less than 7 days. Some programs with no credit check, collateral or proof of income. Click Here! Stream flows are very important for fly fishing. Click on link below, pick your state, and get real time data for where you want to fish. You want stable stream flows over a few days to make fishing conditions favorable. Do you have a favorite river that you like to fish? How about a great technique or special fly that works every time? How about sharing that information with other viewers and “pay it forward” by Sharing your comments!